This is something you can do yourself (what isn’t?) but why bother frustrating yourself with the arcane processes of registrars when we do it faster and probably cheaper than you can find it elsewhere. Speaking of “cheap” though, beware! You want to be able to have the DNS changed and redirected if needed, and the domain to be securely in your control. NOT to be hijacked by some unscrupulous “domain kidnapper” who holds your company to ransom to get your domain back. As a domain reseller for almost two decades we are quite used to the intricacies of registrars and their “rules”, and can manage the whole process on your behalf. We can register and manage any domain that you are entitled to have, including the tricky dot-org-au and dot-gov-au domains as well as the dot-vu and dot-cn domains that can be very expensive if you are not careful. 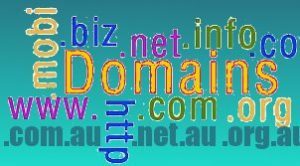 If you’ve had a domain for some time, you are aware how confusing it is that heaps of quasi-official (and outrageously priced!) “renewals” appear in your mailbox and email box. Relax, knowing all your domains are being handled and renewed efficiently and correctly by Absolute Virtual. Not only will we register/renew/transfer it for you,we can also PARK your domain on one of our servers, or REDIRECT your domain to anywhere else you request.